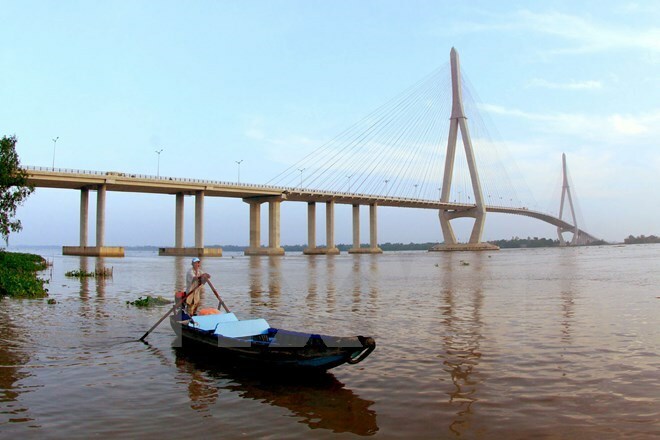 A 100-metre section in the Mekong River tributary, which collapsed two months ago, caused 50 million VND (2,272 USD) in property losses, Truong Van Dung, a local resident, told Viet Nam News. In the last two or three years, the ward’s main road often sank between 70 and 80 centimetres every year but now it sanks by only 30 centimetres thanks to an biological river embankment that was built last August by the city Climate Change Coordination Office (CCCO). The embankment is part of a Community-Based Urban Flood and Erosion Management project with total budget of 500,000 USD (with a 67,000 USD local contribution) under the Asian Cities Climate Change Resilience Network. Residents should also be moved to new areas and offered a means of making a living, he added.